Can Bernie Sanders Break Through the Status Quo? Highlighting the economic and social successes of countries that reject the rigid orthodoxy of the “billionaire class” has never been a priority for Democrats. For decades, the party’s presidential contenders—even those identified as liberal or progressive—have tended to pull their punches when it comes to economics. Not Sanders, who warns that the United States has become a “plutocracy”; observes that we’ve become a nation “of the rich, by the rich, for the rich”; and declares that too many tax dollars go to the Pentagon and too few to the poor. Sanders, of course, isn’t actually a member of the Democratic Party. When the longest-serving independent member of Congress indicated to The Nation a year ago that he was “prepared to run for president,” he added that he wasn’t sure if he would do so as an independent or a Democrat. After a year of meeting with activists nationwide, Sanders took the latter route. But anyone who expects that he will bend to the party’s orthodoxy is mistaken. 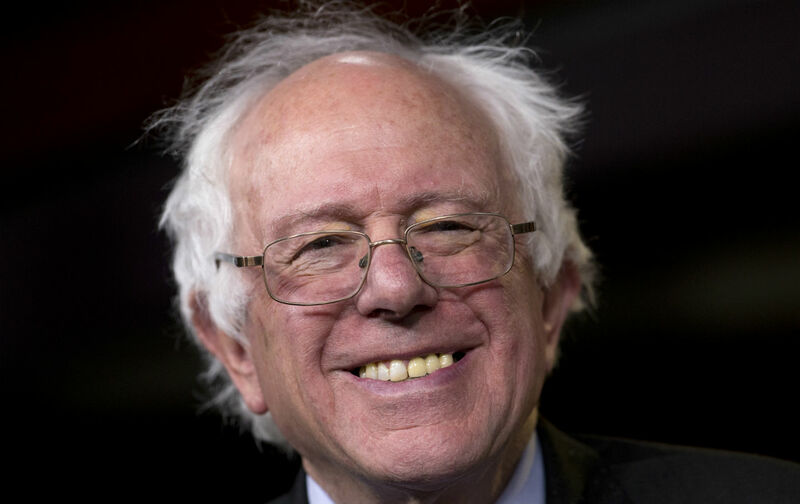 Sanders works with the Democrats when he prefers (backing the Rev. Jesse Jackson’s 1988 presidential bid, for example, and joining the Senate Democratic Caucus). Yet he’s fiercely critical of compromises by the party and its leaders, including President Obama and his attempts to “fast-track” the Trans-Pacific Partnership (TPP) trade deal. That willingness to put principle above partisanship is likely to make Sanders the most dynamic challenger to front-runner Hillary Clinton in the Democratic primary’s six planned debates and on the campaign trail. Others may run, including former Maryland governor Martin O’Malley, former Virginia senator Jim Webb, and former Rhode Island senator Lincoln Chafee. And there’s still a movement to draft Massachusetts Senator Elizabeth Warren, who shares many of Sanders’s populist positions but does not appear to share his enthusiasm for the long slog of an uphill presidential run. Sanders is determined to run as the antithesis not only of Clinton’s cautious centrism (on trade she’s “watching closely” rather than opposing the TPP), but also the concessionary politics that have put Democrats on the defensive in much of the country. He has long argued that if you asked most Americans to name the party of the working class, they wouldn’t pick the Democrats. His point was confirmed last November, when people across the country voted for working-class priorities (wage hikes, paid sick leave, Medicaid expansion) in referendum after referendum, while voting against the Democrats in gubernatorial and Senate races. This is the political disconnect that most frustrates Sanders. He believes that if candidates would just attack austerity bluntly and refuse to go along with bipartisan compromises that cut taxes for the rich by slashing social safety nets for everyone else, then disengaged and disenfranchised Americans would recognize that politics and elections matter. Nor is he alone in this hope. On the first day of Sanders’s official campaign, 100,000 people signed up, and 35,000 of them made contributions averaging $43. That’s not exactly “billionaire class” money, but it was enough to put $1.5 million in his campaign account. Sanders isn’t taken that seriously when he says he’s in the race to win, or that his campaign seeks to answer a big question about the future of democracy: “Can somebody who is not a billionaire, who stands for working families, actually win an election in which billionaires are pouring hundreds of millions of dollars?” Most pundits have already decided that the answer is no, and even Sanders acknowledges that it would require a “political revolution” for his campaign to break through the status quo. But if that’s the standard, he’s already winning. Because it’s pretty damn revolutionary—not to mention refreshing—for a Democratic presidential contender to rip the “billionaire class” and then make the case that Scandinavian social democracy has something to teach us about equality.